MAGic is the perfect solution for low vision computer users. The screen magnification helps users work more efficiently with business applications, document and email. Easily navigate the Internet and stay connected on Social Media. MAGic delivers smooth, crisp letters, even at the highest magnification levels. 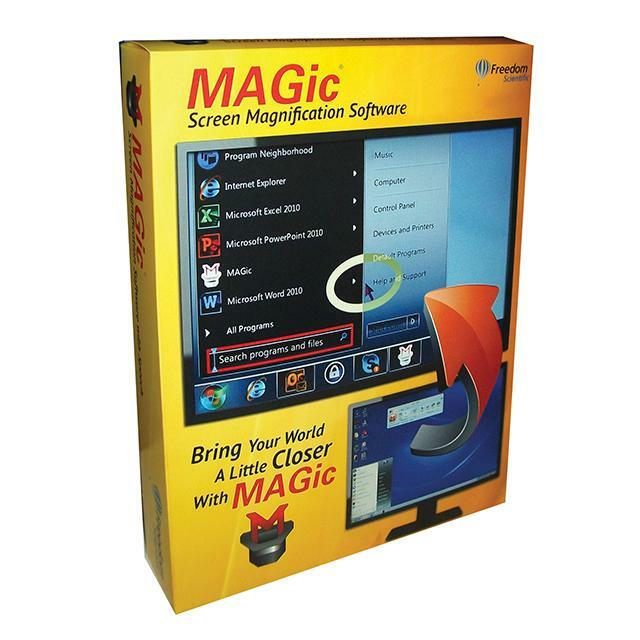 Note: The Remote Access option is included when purchasing MAGic with scripting functionality. The MAGic Large Print Keyboard works with MAGic versions 11.0.4348 (32-bit), 11.0.4349 (64-bit), or later. Windows XP is supported by MAGic 11 and earlier.